Nexus 5 screen "expensive to repair"
The Nexus 5 will be expensive to repair if the screen is damaged, iFixit has warned. During its teardown of the new Nexus, iFixit found that repairs of the phone are relatively simple. It awarded the phone eight out of ten on the repairability scale, with ten being the easiest to fix. The major issue it noted is that the phone's front frame, LCD and glass are fused together. Should the front glass become damaged from being dropped, iFixit warns it will be very expensive to fix. Elsewhere though, the phone is relatively easy to repair. The front and rear panels are connected with plastic clips rather than glue. The only area where there is glue is at the bottom of the case. Google has also labelled the antennae for Wi-Fi, MIMO and GPS. The Motherboard, earpiece speaker, headphone jack and front-facing camera are all easy to remove as well, it said. The relative ease of repair is another positive for Google's latest Nexus smartphone. 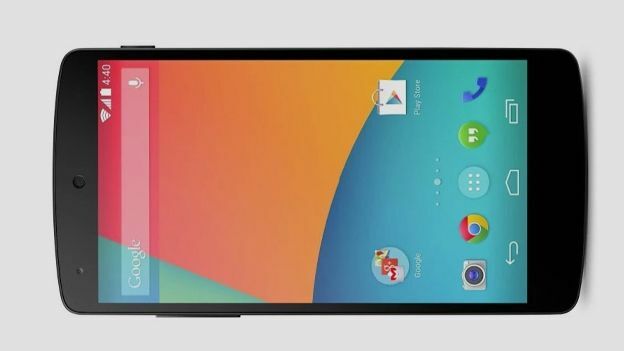 When we reviewed the Google Nexus 5, we found it was “a seamless Google experience that feels fresh even if KitKat isn't the overhaul that Apple's iOS 7 might have been”.